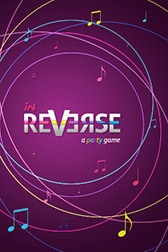 inReverse | The first truly unique party game for iPhone and iPad! 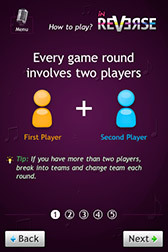 The first truly unique party game! 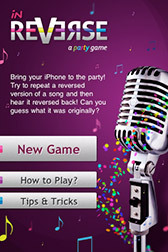 Bring your iPhone or iPad to the party! 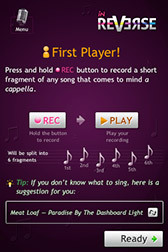 One player records a short fragment from any song while the other is not listening. 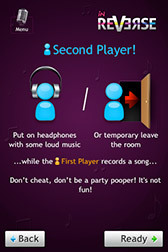 The second player then listens to the recording in reverse and repeats reversed version fragment by fragment. 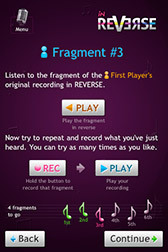 Once he's finished, all his fragments are reversed back, and he should be able to guess the original song.